MOUNTAINSIDE, NJ – The Union County Board of Chosen Freeholders presents special programs for families during the Presidents’ Day Holiday weekend. Programs are recommended for families with children ages five and up. “February Festivities at Trailside offers a unique variety of entertaining programs to delight people of all ages,” said Freeholder Chair Bette Jane Kowalski. Throughout the weekend families are invited to enjoy two special matinee programs that are sure to capture the imagination of young and old. On Saturday, February 16 Meet LIVE Birds of Prey with a guest speaker from the Tenafly Nature Center. Hawks, owls, falcons and eagles have special adaptations that help them survive in the wild. The audience is sure to be captivated with these magnificent animals through demonstrations, hands-on artifacts and, of course, LIVE birds of prey. On Monday, February 18 adults and children will enjoy an afternoon filled with the perfect blend of magic, audience participation, comedy and excitement in Magic With Joe Fischer. Matinees begin at 1:30 p.m. and space is limited. Tickets go on sale at the Visitor Service Desk at 1:00 p.m. on the day of each program. No strollers please. The fee is $5.00 per person and $4.00 for seniors. Trailside proudly welcomes Wild Birds Unlimited of Scotch Plains to investigate our neighborhood owls. On February 16 or 18 from 10:00 – 11:00 a.m. families are invited to learn about our local owls in Hoo-Hoo Eats Who? Find out how to identify these owls by their calls and explore the special adaptations that make them excellent hunters. Owls often swallow their prey whole, but parts like teeth, skulls, claws and feathers are too dangerous to pass through the owl’s digestive tract. These items are expelled by the owl in the form of a pellet. Families will work together to dissect sterilized owl pellets and identify the skeletal remains of the owl’s prey species. A Wild Birds Unlimited bird feeding display will be featured in the lobby throughout the February Festivities event. Find out what types of seed can be used to attract goldfinch, cardinals and other song birds to your backyard. Learn about feeders that are frequented by woodpeckers and discover some clever squirrel proofing solutions that prevent squirrels from stealing your seed. The Journey of Sap to Syrup meets 11:30 a.m. to 12:30 p.m. on Saturday, February 16 or Monday, February 18. Learn the process of how 100% real maple syrup is made from the sap of the sugar maple tree. Find out what equipment is needed to collect sap and take a walk to see a tapped sugar maple tree. Take part in a taste test to see if you can identify the real thing. Animal Clue Winter Walk and Campfire, is offered 3:00 to 4:00 p.m. on Saturday, February 16 or Monday, February 18. Have fun on a short walk to look for buck rubs, animal tracks, nibbled twigs and other signs that tell us our animal neighbors have visited. Conclude your outdoor investigation around a warm campfire with hot chocolate and marshmallows. Registration is required for all family programs and the fee for each workshop is $5/person for residents of Union County and $6/person for out-of-county residents. Walk-ins are welcomed as space permits. 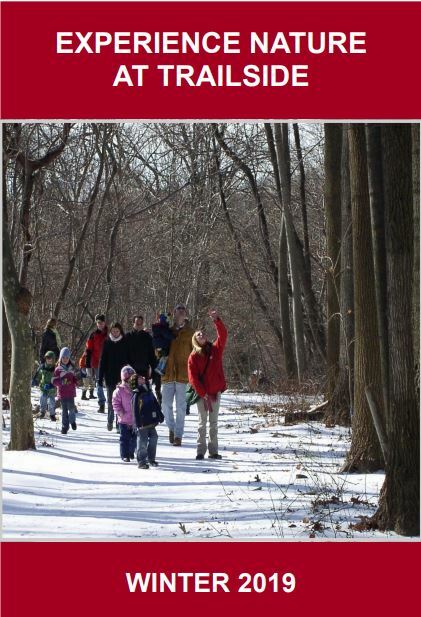 For additional information about the special programs and matinees offered during February Festivities, winter workshops, teacher training or special events, please call 908-789-3670 or visit ucnj.org/trailside. Trailside Nature and Science Center is located at 452 New Providence Road in Mountainside and is a service of the Union County Board of Chosen Freeholders.